Pre-Painted Metal Roofing and Cladding System (INOdeckTM) as an economical for projects that bring more cost effective building solution. INOdeckTM is specially designed to give a neat and bold appearence for industrial, commercial and domestic applications. It is made of high tensile steel it has great spanning despite capacity its lightness. This allows greater purling of girt spacing, improving the economy of supporting structures. As a roofing material, it is also deterrent againts burglars forcing entry through the roof into your home. 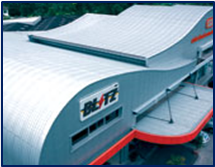 Moreover, it is securely fixed in long, continuous sheet providing a weather tight roof. 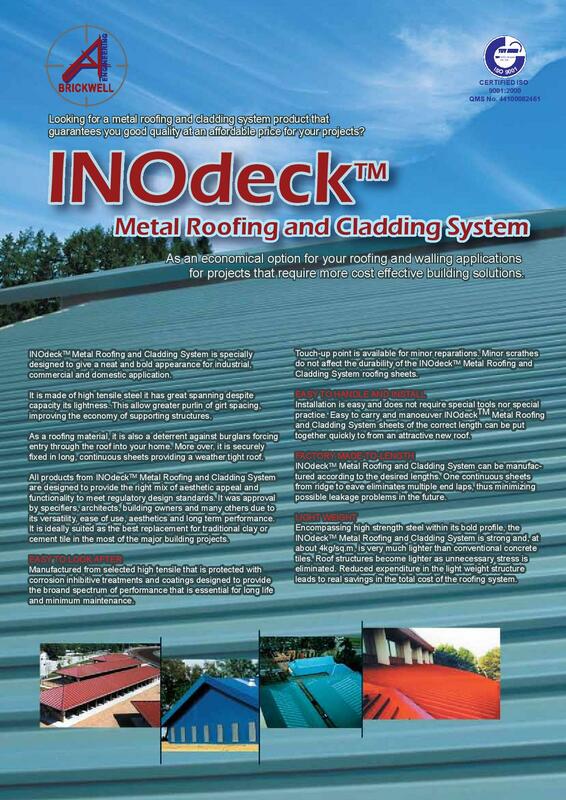 All INOdeckTM products are designed to provide the right mix of aesthetic. 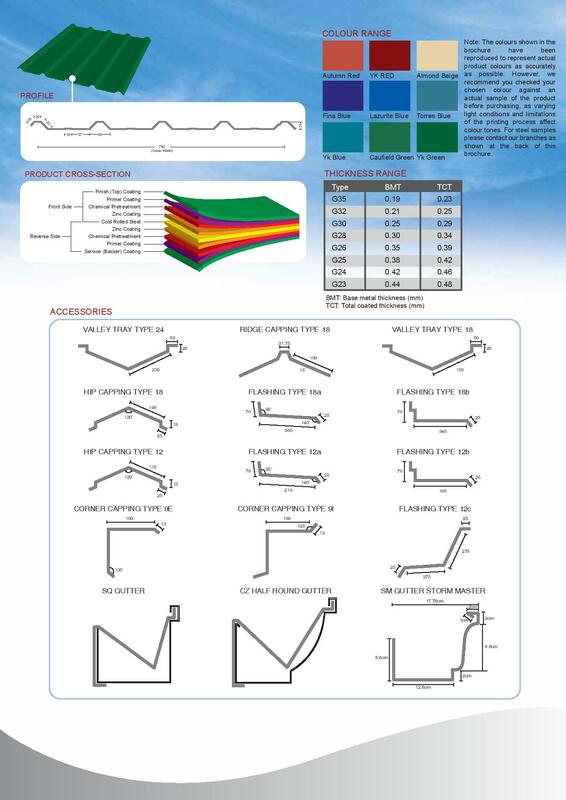 Appeal and functionality to meet regulatory design standards. It was also approved by specifies, architects, building owners and many other due to its versatility, aese of use, aeschetics and long term performance. It is ideally suited as the best replacement for traditional clay or cement tile in the most of the major building projects. Copyright © 2016 INOtrus Group. All Rights Reserved.